But a Sport Quattro will never happen. One of the greatest travesties in the eyes of automotive enthusiasts is the lack of awesome wagons on sale in the US. For example, Audi produces the RS6 Avant, which is so fast that it . 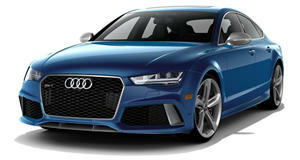 Unfortunately, Americans hate wagons, so we only get the RS6's four-door coupe cousin, the RS7. Up until now, we have just had to live with this reality, but a recent Car and Driver interview with Quattro GmbH CEO Stephan Winkelmann indicates that the RS6 has a slight chance of landing in the US when it gets redesigned. Let us stress that the chances of this happening are minimal, but any chance the RS6 comes stateside is a chance that we can't help but swoon over. In the interview, Winkelmann talks about how Quattro GmbH is not interested in building any new cars that don't share body work with another car in the range (think AMG GT here). This means that cars like the Audi Sport Quattro Concept that will sadly never see production. Speaking about the Sport Quattro, Winkelmann said “It’s a nice dream, but I think we have so much in front of us that the most important thing is to get the lineup where we need it." Quattro needs to catch up with AMG and BMW M by building more models. In order for Quattro to catch up with AMG and M, it will launch an assault with a . We know that some of these will be crossovers like the RS Q3, and these new RS cars will have more differentiation than they currently have over current S models. “We need to make it even clearer, when you see our cars on the road, that they are RS cars," Winkelmann said. 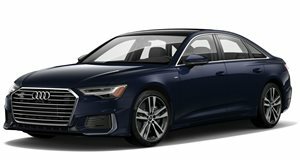 The upshot of this flood of RS models is that there is a very small chance that the next generation RS6 Avant could come to the US. An Audi insider says that the numbers are currently being crunched to make a business case for the RS6 in the US because the Allroad has had modest sales success. We have heard some rumors that if the RS6 does come to the US, it could be a that is a larger and much faster version of the current A4 Allroad. This means that Audi would add body cladding and a higher ride height to the RS6, which would make it look more SUV-like to appeal to US buyers. Volvo has taken a similar approach with the V90 Cross Country, so this strategy might work. If raising the ride height by a few inches is the only way that we will get our Audi super wagon, then bring it on. The new RS6 won't be launched in Europe until 2019, so it is still a little ways away, but this better not be yet another false rumor. We desperately want the RS6.